Commercial building owners and managers have justifiable reasons for seeking building riser management solutions. Inspecting the vertical riser system and telecom closets in many commercial buildings can reveal thousands of feet of aging cabling abandoned by former tenants. Abandoned cables can take up valuable space in a building's risers and create significant risks to commercial tenants, including fire safety hazards. Abandoned cabling may not be an immediate risk to access or safety in newer commercial buildings. However, failure to identify and remove issues from the vertical riser system can create problems quickly. In 2019, the average business uses more than three times the bandwidth resources they used in 2016. 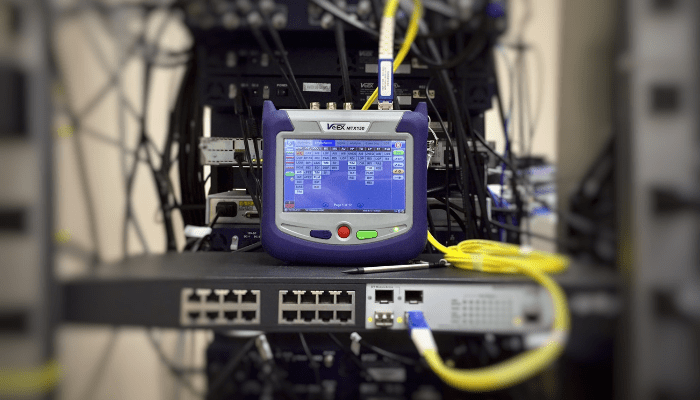 The growing demand for data connectivity is fueled by installations and upgrades to communication infrastructures. There's no question that commercial property managers need a solution to maintain safe risers to extend communication services from the building's telco point of entry (MPoE) to the telecom closets on each floor. The market has responded to this growing need with several types of services to audit, clean up, and maintain the risers in commercial properties. There are several options for building riser management solutions, each of which offers distinct pros and cons. Read on to learn which approach makes the most sense for your commercial property and tenants. Telecom riser ducts, or building risers, make up the vertical building infrastructure dedicated to providing communications connectivity. Risers typically consist of shafts which give space for cabling between the building's MPoE, closets, and tenant offices. Since the telecommunications industry was deregulated in 1996, tenants can choose a service provider to perform communications and installation services. Few commercial properties have provided systems of accountability to ensure tenants or vendors remove unused cabling or perform maintenance activities. The quality of work performed in building risers can vary drastically since not all of the thousands of voice and internet service providers in the U.S. provide high-quality services. Many commercial properties are now facing a telecom infrastructure which is disorganized, cluttered, and hazardous to tenant safety. Building managers need to authorize audits and maintenance activities on risers which have been ignored for years. A safe, accessible riser system is key to tenant satisfaction and property value. Failure to act if your risers are disorganized or unsafe can result in fire hazards, liability, and costly code violations. Commercial property managers have several options, which include contracting with a building riser management solution, continuing to ignore riser maintenance, or working directly with expert service providers. Riser management companies offer comprehensive solutions to correct and maintain the telecommunications infrastructure of commercial properties. Services provided by these contractors include audits, infrastructure updates, maintenance, and technical support. Also, building riser management companies maintain exclusive riser access by operating as the sole source of service for tenants. Services are technically free to building owners and property management groups since costs are passed on to tenants, though there may indirect losses as we'll explore below. Building riser management companies maintain profitability by demanding that tenants use their service for any infrastructure changes. Business renters are also obligated to purchase communications services from the riser management's preferred vendor. At first glance, these services seem like a free, convenient way for property managers to address infrastructure risks. However, they can have a negative impact on tenant satisfaction and property valuation. A primary source of tenant dissatisfaction with these managed service providers is related to excessive costs, including a standard 10x markup on basic upgrade activities. Riser management companies typically charge tenants $3,000 to $7,000 for initial installation services which would be priced at $500 by Atlantech Online. Tenant frustrations can increase if the riser management company is non-responsive or partnered with a sub-par communications service. Finally, granting any company the exclusive right to provide a service at your commercial property can present risks to both landlords and tenants if the contractor doesn't deliver value. An inexperienced and ineffective building riser management company could fail to perform responsibilities as promised, resulting in hazardous risers and damaged tenant satisfaction. Riser management is an emerging industry which offers significant pros and cons for property managers. While the building owners may have better peace-of-mind about telecom infrastructure safety, there's a definite trade-off of tenant happiness which can negatively impact your profitability and reputation. Learn more in Building Riser Management Can Cost You 10x the Normal Rate. Many commercial buildings have taken an "out of sight, out of mind" approach to telecom risers. While some landlords have been aware that risers contained abandoned cables, few had a structured approach to dealing with maintenance and enforcing clean-up activities. Depending on the age of your building and the state of your telecom risers, a laissez-faire attitude could work for a limited time. However, if you're not already looking at tens of thousands of feet of abandoned cabling, this attitude will eventually result in safety risks. Poorly maintained building risers are such a significant risk to health and safety that the National Electrical Code (NEC) was updated in 2002 to require commercial buildings to remove all “accessible abandoned cable." Unused cables are permitted by NEC standards if they are clearly tagged and identified. While the precise penalties for code violations can vary depending on your state and jurisdiction, there are significant safety and financial risks associated with code violations. A relaxed attitude towards building maintenance could be a short-term solution to your building riser problems, but it’s not a safe or sound plan for the long term. Commercial properties need to protect the quality and continuity of client communications with safe riser systems. However, commercial properties aren’t forced to work with a building riser management company to manage infrastructure risks. Knowledgeable service providers can create a customized plan to protect the integrity of your risers. Working directly with a trusted telecommunications provider to perform an audit and maintenance activities offers the most flexibility. This approach can allow commercial properties to bring the risers up to code while protecting tenant satisfaction. While building riser management providers are relatively new, many commercial tenants are aware of the risks of renting from a property management group contracted with these service providers. Working directly with a well-respected telco provider to audit and improve your building’s communications infrastructure can improve property valuation and attract new tenants. The right telco vendor can provide ongoing maintenance activities as necessary without price-gouging or compromising your tenant's right to choose their vendors. Encouraging clients to work with quality vendors on installations can prevent the need for extensive clean-up activities in the future. Consider providing tenants with a list of preferred communication partners who offer affordable, high-quality services and safe installations. Commercial properties need an expert solution for building riser management. Depending on the state of your building risers and the amount of abandoned cabling in your property, riser management could be imperative. However, contracting with a riser management company isn't the only way to address safety risks. The best solution for riser management at your commercial property is the one which serves everyone's long-term interests. A riser management service provider may immediately benefit property managers while costing tenants. However, these providers' unfair pricing and variable service quality have a negative impact on building managers in the long term. Your profitability is likely to be harmed by high tenant turnover and dissatisfaction and you could face difficulty marketing your property to quality renters. While the decision to ignore your risers could be a viable short-term choice for some landlords, it's unlikely to serve anyone's best interests in the long term. Everyone involved can suffer adverse consequences when abandoned cabling results in fire hazards, code violations, or difficult installations. The solution which protects the interests of tenants and commercial property managers is likely the simplest--hiring a trusted telco provider to perform necessary audits and upgrades. A quality vendor can have an immediate impact on riser safety and accessibility without demanding a long-term monopoly over your communications infrastructure. Knowing the right questions to ask can help you select the best telco provider for building riser maintenance. 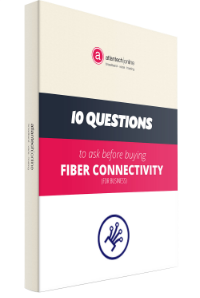 Learn insider secrets to making the best choice in the free eBook: 10 Questions to Ask Before You Buy Fiber Connectivity.